About a week ago I softly launched a blog for Documentary Channel, now to be simply referred to as Documentary Channel Blog (but you can call it DOC Blog or Doc Channel Blog if you wish). There I am writing about documentary news and rounding up other links related to nonfiction film, just as I was doing here at my personal Nothing But the Doc blog. Due to the overlap, I am going to put this here blog on hold for the time being. Documentary Channel Blog will not feature doc criticism, but you can still find that on a regular basis over at Spout, where I write on fiction and nonfiction alike. You can also continue reading my Doc Talk column at Movies.com every other week. I’d like to direct fans of this young blog over to Documentary Channel Blog this week on the eve of the Toronto International Film Festival, from which I will be filing interviews with filmmakers and subjects where I’m able, while also reviewing films for Movies.com and Spout. I hope you all like and continue supporting my attempt to shed more light on the documentary form through the various outlets I am lucky enough to write for. Maybe one day I can even keep Nothing But the Doc running heavily along with the others. P.S. If you don’t have DirecTV or Dish Network and so can’t get Documentary Channel, write your cable provider and ask for them to carry it. 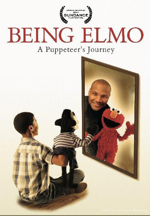 Back in May, Submarine Entertainment announced it would release Constance Marks’ cute and heartwarming Kevin Clash profile, “Being Elmo: A Puppeteer’s Journey,” this fall for an Oscar-qualifying run before quickly hitting DVD and then PBS. Now the distributor has unveiled its theatrical strategy, and it appears to be a more substantial run than previously hinted at. There’s a possibility the doc’s ongoing acclaim and festival success (including recent wins in Traverse City and Nantucket) got Submarine thinking bigger, so following an October 21 bow at NYC’s IFC Center, they will take it around the U.S. through November and December. For already booked dates/cinemas head over to /Film. Many Sundance attendees fell for Special Jury winner ‘Being Elmo: A Puppeteer’s Journey,’ but it’s probably too short and simple to be a substantial theatrical title. And while kids seemed to enjoy it out in Park City, I don’t know that a documentary about the guy who operates their favorite Muppet is as appealing as simply watching ‘Sesame Street’ or an Elmo home video. Doc-makers, a word of creative and financial advice: rather than jumping ship and taking a paycheck to direct a generic Hollywood comedy, instead direct a decent nonfiction film with a feel-good narrative that could easily be adapted into a generic Hollywood comedy. But not too decent, because nobody is ever going to remake a film like “Hoop Dreams” — but maybe “Racing Dreams” (eventually) and now definitely “Quantum Hoops” (more advice: someone make a doc titled “Quantum Racing” right away — whether or not it’s about the sailing team of that name). According to Deadline, Disney is teaming up with Ben Stiller‘s Red Hour production company and doc-maker Rick Greenwald for a dramatic redo of Greenwald’s little known 2007 sports doc, and screenwriter Stan Chervin (“Moneyball”) has been hired to pen the adaptation. The original “Quantum,” which features narration by David Duchovny, follows the Caltech Beavers at the end of the 2006 basketball season. Known as maybe the worst college team ever, the Beavers had at the time not won a conference game in 21 years, or any game in 11. Of course, they go to Caltech, so they’re total nerds, but perhaps they just needed the right coach… You get the picture, but you likely haven’t seen the film, and that’s probably to Disney and Red Hour’s preference. Theatrically the doc earned only $7,000 and it’s currently not even on Netflix. It is on DVD (and Amazon VOD), however, so Netflix’s status is part of the annoying issue I wrote about recently in my Movies.com column (everyone click the “save” button on the “Quantum Hoops” page now). I haven’t seen it yet either, but I’m still curious who they’ll get to star, as coach Roy Dow (seen in this video), as I can’t think of a single actor who resembles the guy. Maybe it’s the baldness that’s throwing me off. 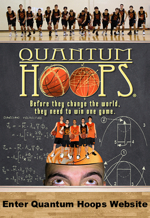 Check out the trailer for the original “Quantum Hoops” after the jump. The other Sarah Palin documentary, “The Undefeated,” hasn’t been a huge hit, though its gross is not awful for a non-fiction release, especially one so right-leaning. Could a lefty take on the former Vice President candidate do better? 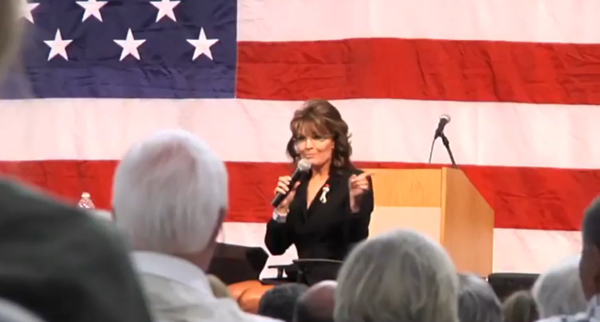 We’ll have to wait a bit, as Nick Broomfield‘s “Sarah Palin: You Betcha!” doesn’t even hit the festival circuit until next month, when it premieres in Toronto. I can see it being the filmmaker’s highest grossing doc since 1998’s “Kurt & Courtney,” which would put it well above the pro-Palin doc, if it can garner some positive reviews and decent distribution (Arc Entertainment holds U.S. rights) that sells it as a Michael Moore-ish doc. And based on the first “teaser” clips, that shouldn’t be too hard. I prefer Broomfield’s sensationalist shtick to Moore’s, because he aims less for laughs and tends to seem genuinely a curious, albeit emotionally distanced, investigator in spite of his reputation for paying interviewees and hawking conspiracy theories. But it’s also hard to imagine he’s gotten much of substance here that other journalists have failed to get. Unless Broomfield has found people to testify that Palin shot both Kurt Cobain and Biggie Smalls and is currently hiding Tupac in her home — and I’m sure Broomfield could — I don’t even know how entertaining or interesting it will be compared to the filmmaker’s past works. I’m bracing for disappointment yet I also can’t help anticipating his first feature doc in five years, following a great two-film jump into narrative works. Check out the two new clips after the jump. Filed under News, Trailers Tagged with documentary, michael moore, nick broomfield, political documentary, politics, sarah palin, sarah palin: you betcha!, the undefeated, toronto film festival, you betcha! Documentaries being adapted to the stage are in theory a tricky idea, but it worked for “Grey Gardens,” and this fall we’ll get to see if Kate Davis’ “Southern Comfort” is a good fit for musical theater, according to the New York Times‘ ArtsBeat. This isn’t just now being announced, but it’s the first I’ve heard of it, and I’m thankful for the reminder that I need to finally see this doc. Apparently my wife’s constant pleas to rent it haven’t worked enough. Maybe ahead of the premiere I should write a Documentary Classics column on the film over at Spout? Probably. 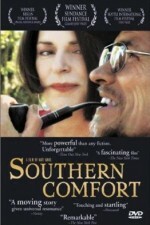 The 2001 Sundance-winning film follows Robert Eads, a transgender man with ovarian cancer, as he and his sweetheart, Lola Cola, head to Atlanta’s annual Southern Comfort Conference for transgendered individuals. The stage version will feature a folk-bluegrass score from Julianne Wick Davis and a book and lyrics by Dan Collins. You can check out the songs on Last.fm. ArtsBeat claims Annette O’Toole stars, but I think she was only involved with a reading that took place months ago (she read the Eads part). As far as I can tell the official cast is not yet available. The show begins a limited run at CAP21 in NYC beginning October 5th and tickets are on sale. For now, check out a “trailer” (really just a clip) after the jump.